Images of Singapore + Madame Tussauds Singapore = an hour plus of FUN! The original attraction opened in 1983 as the Pioneers of Singapore & Surrender Chambers museum. A new section called Festivals of Singapore was later added to the museum in 1994 and the attraction was re-christened to Images of Singapore that same year. Images of Singapore LIVE is housed in the first British military hospital in Singapore, commonly known as the “Sick Quarters” during the 1893 – 1950. 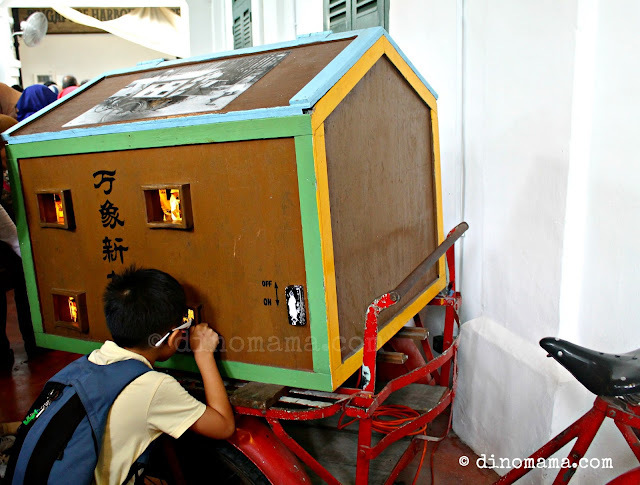 Before we enter into Images of Singapore, we walked along a corridor with many old school things placed on either side of the corridor, like this mobile movie on a bicycle. There is also a drink stall furnished with bottled glass of soy milk, Spirit, Kickapoo, a simple tool to make ice-kacang etc, some wooden boxes & barrels that we used to see along the Singapore Dock, it instantly brought me back to early Singapore! 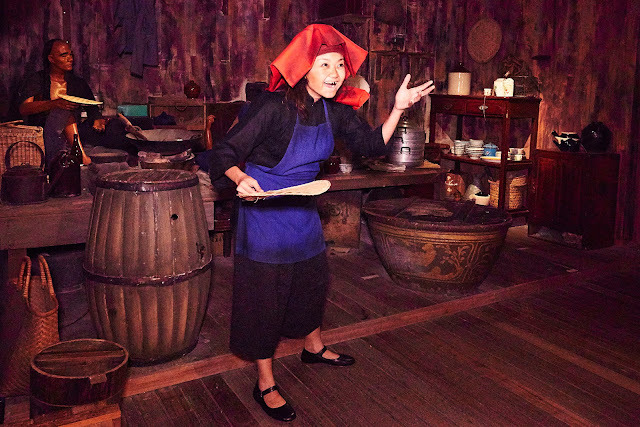 Images of Singapore LIVE is an actor-led attraction which showcases Singapore’s 200 year history. The attraction has been newly revamped, and now features live actors, special effects and immersive theming to create an almost theatre like experience. In order for us to enjoy the 40min of journey fully, no photography was allowed so that our focus is on the actors who tell the story of the character they are acting; a Samsui woman, a fisherman, a coolie etc. It probably was not a good idea to take photo too because 90% of the tour was in dimly lighted rooms, I wouldn't want to trip and fall on any props that are around the places while my eyes are glued to the camera! We were taken onto a journey to uncover Singapore’s transformation from third world to first. 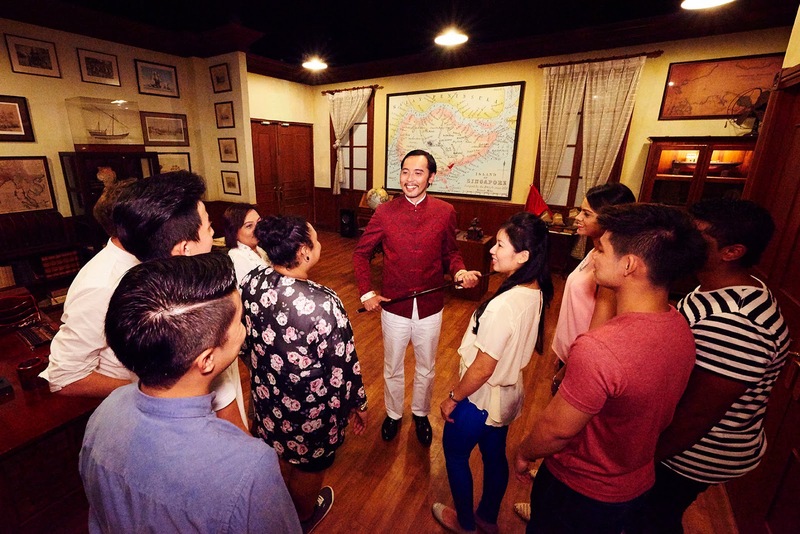 Visitors will be led by actors through fifteen new highly immersive areas which weave together Singapore’s story. These zones include a quayside walk, Malay fishing village, Commercial Square, Jubilee Cinema, television shop and others. An important thing to note is that since special effects (read - loud noise and bright lights) were used, children under 6 years old are not allowed into the attractions. You wouldn't want to traumatized your child right? Merlin Entertainment operates both Images of Singapore and Madame Tussauds, they are also the one who's responsible for The London Dungeon too. If you have been to the London Dungeon in UK, which I did decades ago, the live entertainment at Images of Singapore was much friendlier. The London Dungeon was many times scarier and eerier but that was the dungeon, if scare factor is not high than many visitors will be disappointed. At the end of the journey that is a boat ride that uses dynamic lighting and multi-sensory effects to showcase the best of Singapore and links both Images of Singapore and Madame Tussauds Singapore together. An interest thing to note is that Madame Tussauds Singapore is the only Madame Tussauds attraction to have a water ride. The Spirit of Singapore is a unique boat ride which will take visitors on a magical journey, celebrating everything that is iconic about Singapore from Marina Bay Sands to the F1 Night race. The whole boat ride was probably about 5 mins (I didn't time it but it was a short boat ride), again it was too dimly lighted to take really nice photos without turning on the flash light; which I hate so I do not have any photos to show you. Nonetheless, here is the official Spirits of Singapore video taken from Images of Singapore LIVE website. Do you know that Madame Tussauds museum started in London at around 1835 and has grown to become a major attractions? I have visited Madame Tussauds London years ago and was captivated by all the life size wax figures that look as real as a human being as it can be! 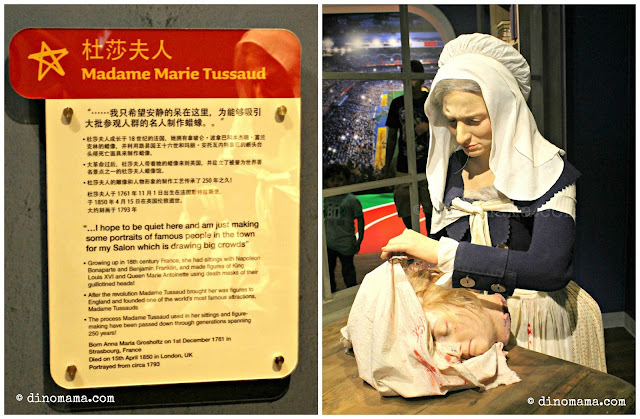 I was pretty excited that Madame Tussauds was finally going to set foot permanently in Singapore in 2014 but never really got around to do it till now. This Madame Tussaud wax figure does not look anything like the one at Madame Tussauds London; a self portrait that Madame Tussaud made, perhaps this is a younger her? Now when you look at this wax figure you may be wondering whether she is a serial killer or something because its so gruesome, with a severed head and blood too! Well, it was said that Madame Tussaud made death masks by using severed heads of executed citizens, YIKES! If you google about her you will find that her life is a tough one and not as gruesome as you may think. Madame Tussauds Singapore is the 18th Madame Tussauds attraction globally and the 7th Madame Tussauds in Asia. 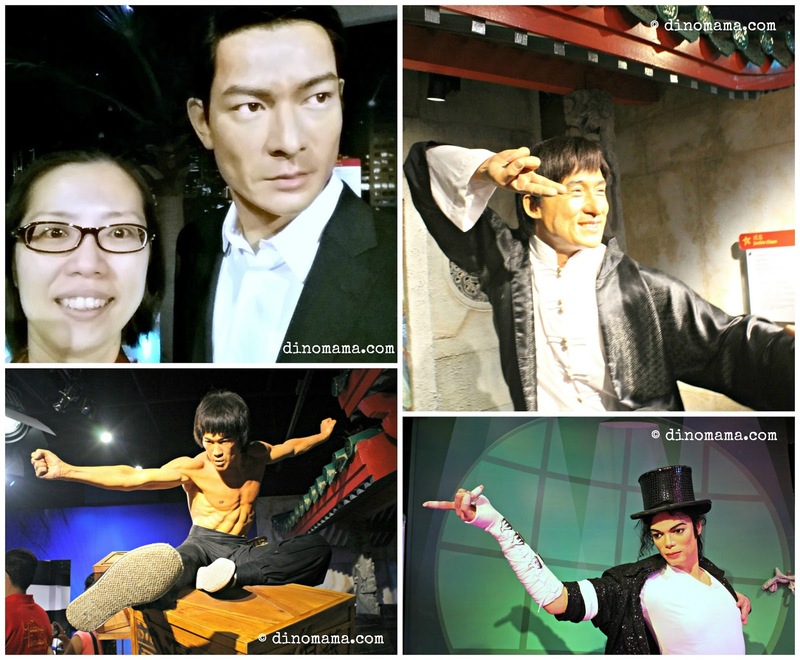 It costs approximately S$300,000 (Singapore dollars) to make each wax figure. Each set of eyes takes 15 hours to create and no two pairs are the same. 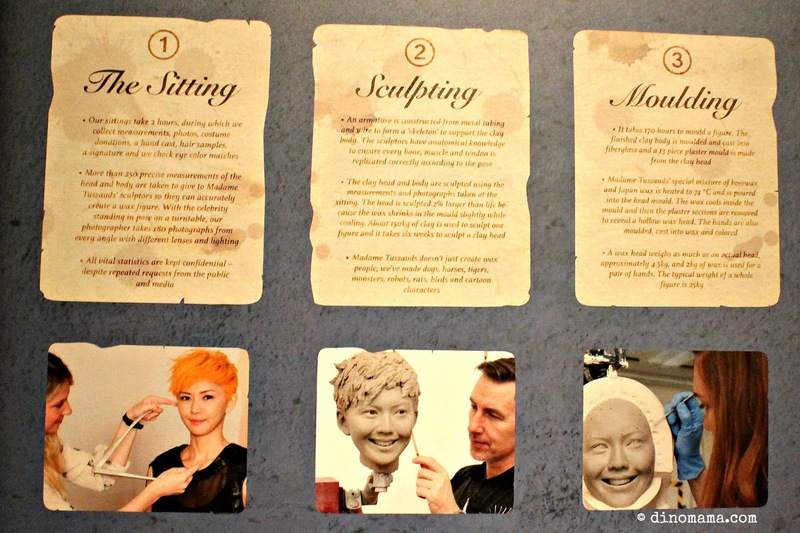 Take a close up look at Zoe Tay wax figure, all that details right down to the wrinkles (opps!) around her eyes! Despite that she still look as beautiful and stunning, one of my favourite Singapore celebrity. A popular corner where every one would want to stop and take photo with, the loving couple Mr & Mrs Lee Kuan Yew. 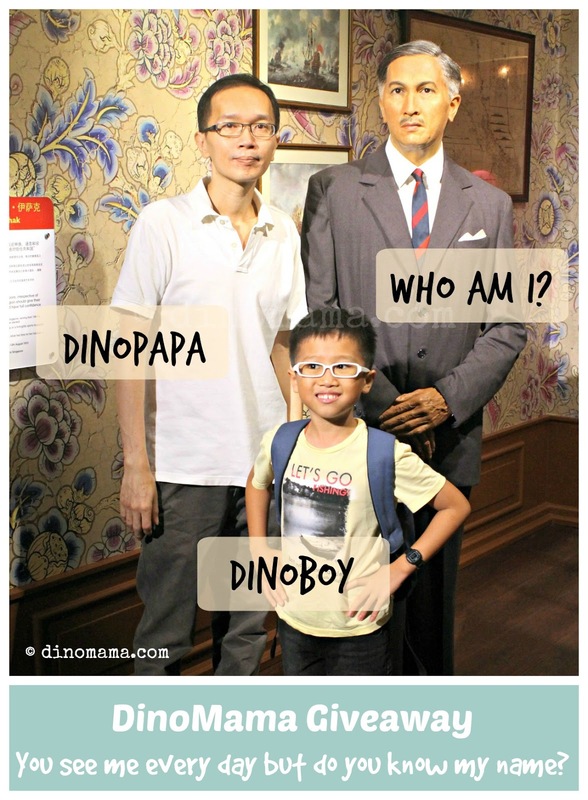 DinoPapa wasn't keen on taking photo with any of the celebrity wax figures but he insisted on having a photo taken with them. PS : Don't ask me why DinoBoy had that surprise look on his face. Perhaps he was shocked that he's the huge media coverage on Mr Lee's passing earlier this year, maybe he thought he saw a ghost! 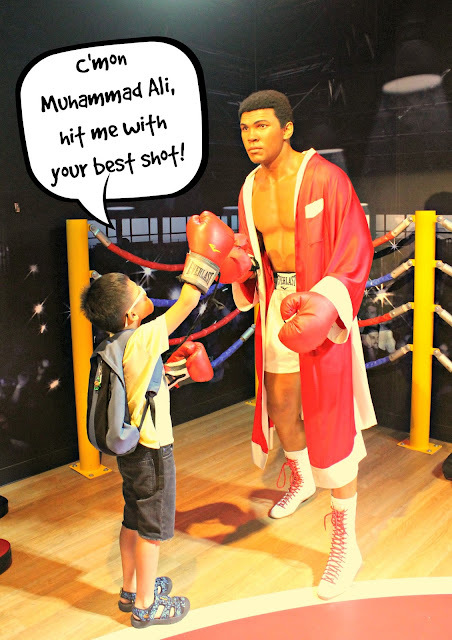 You may want to look around for some props near most of the wax figures, like the boxing glove DinoBoy put on in the photo below, this is to make you "blend in" with the celebrities and make your photo with them look as realistic as ever. DinoBoy first got to know about this beautiful lady when he was in K2, the teachers used her song "Fireworks" as a dance tune for them to perform during their annual graduation concert. He was feeling starry -eyed when he stood in front of her wax figure and was too shy to stand beside her to take a photo together. I found some of my favourite celebrities too~ I was hoping to take a photo with the museum's latest collection The Beatles but there were simply too many people crowding around that small area waiting for their turn. I gave up because I really hate to squeeze with people and the boys have walked off to another part of the museum. Madame Tussauds Singapore feature famous Singaporeans like Stefanie Sun, Fandi Ahmad, Gurmit Singh, Jack Neo, as well as the wider Asian regional and international A-list celebrities around the world such as Brad Pitt, Angelina Jolie, Lewis Hamilton, Johnny Depp, David Beckham and Lady Gaga. Get your cameras ready to get up close with your favorite personalities and create the ultimate selfie! From VivoCity, head up to level 3 to take the Sentosa Express monorail to Imbiah Station (second stop) then head across Merlion Plaza to the escalators – they will lead you right to the Madame Tussauds Singapore red carpet. 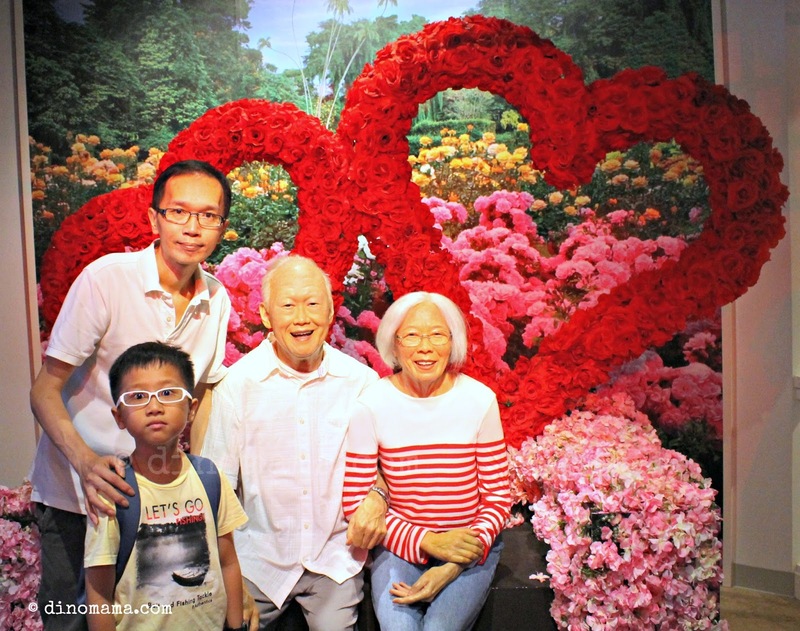 We had such a unique and learning experience (an extension of learning for DinoBoy from his weekend enrichment class) while visiting Images of Singapore and Madame Tussauds Singapore that we would like to give 2 families the opportunity to visit these 2 amazing attractions too! Look at the photo below and follow the Rafflecopter widget to enter our giveaway. Disclaimer : We were invited to Images of Singapore and Madame Tussards for the purpose of this post & giveaway, no other forms of compensation were received. All opinions are 100% ours and based on our experience during the visit. Images of Singapore photos in this post are copyright to Images of Singapore while all other photos, are copyrighted and belongs to the DinoFamily, you may not use any of the photos for any purposes without seeking our approval.